No matter how big your appetite—or how small your pocketbook—there's a kid-friendly place in San Antonio that even the pickiest eater should approve. Here's a list of the top restaurants the whole family will love. You're probably thinking, Oh, no, not more pepperoni and Pac-Man. But this popular chain has a twist--fancier food choices and fewer games, which means you might just be able to lure the offspring away from the smallish arcade with the steamy heaps of fresh-made pizza, soup, and pasta. What's more, Cicis is a great affordable alternative to places like Chuck E. Cheese, which promises your wallet won't get smaller while everyone's appetite continues to grow. There are a number of CiCis restaurants in San Antonio (consult listings for one near you). 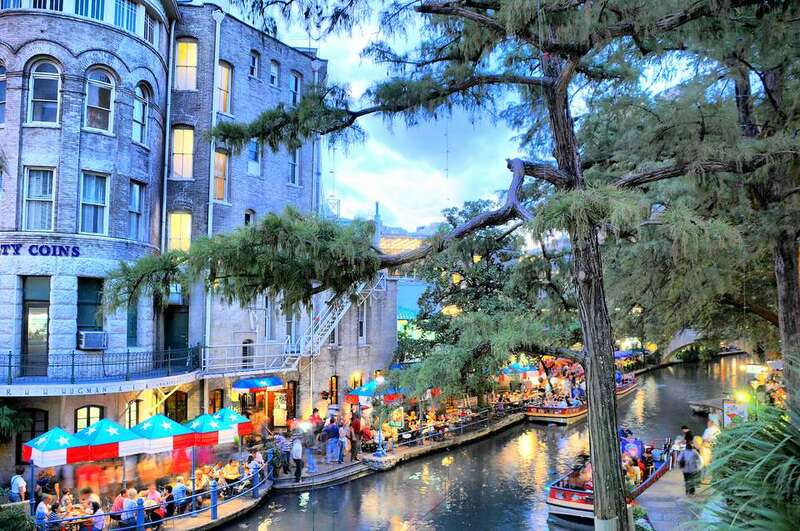 Located right on the River Walk, the Rainforest Cafe has an exciting wildlife theme that promises to entertain young and old alike, and exotic food choices—Jurassic chicken, Python pasta, and "lava mud" and "volcano" desserts—that should, well, erupt in every mouth. Prices are a little on the steep side, but you should be able to keep spending down to a dull roar if you don't succumb to the souvenir "Village" gift shop right at the exit when you leave, of course. A famed San Antonio tradition, the Magic Time Machine has been around since 1973 and is centered as much around entertainment as on food. Yes, the menu offers chicken fingers, fries and all kinds of other family favorites, but it's the cast of characters—staff members dressed up as everyone from Scooby Doo and Snow White to Lady Gaga and Captain Jack Sparrow—who really draw in the crowds. Call ahead and reserve a theme room for a kiddie or adult party, so that memorable day you want to celebrate becomes even more special. An all-you-can-eat pizza buffet awaits the family inside, but with all the entertainment options in the offing, it may be no little task to get the kids to sit still long enough to taste any of it. Try a little parental persuasion, however, and they're sure to squeeze in bites of pasta, tacos, chicken fingers and dessert pizza in between the bouts of mini golf, bowling, and bumper cars. There's also plenty of adult-sized fare like tempting salads and sizzling soups to keep the grown-up gallery contented on the sidelines. Repeatedly named to “Best Burger” lists in national polls, this is a budget-friendly favorite with a Tex-Mex decor, full-service cantina bar, and family staples such as nachos for the moppets and mango margaritas for the adults. Its specialties include their macho-sized tostada burger, which sizzles with refried beans, crushed tortilla chips, an oozing layer of cheese, and a heaping scoop of homemade pico de gallo. Of course, child-friendly portions are always available for the kiddie contingent, which means when it comes to things like frozen custard and pecan pralines, even the most discriminating youngster may always find room for dessert.